I always wanted to visit Ethiopia but I also knew that it’s a nerve-testing, awe-inspiring and heartbreaking journey, in general a journey that I would never forget. 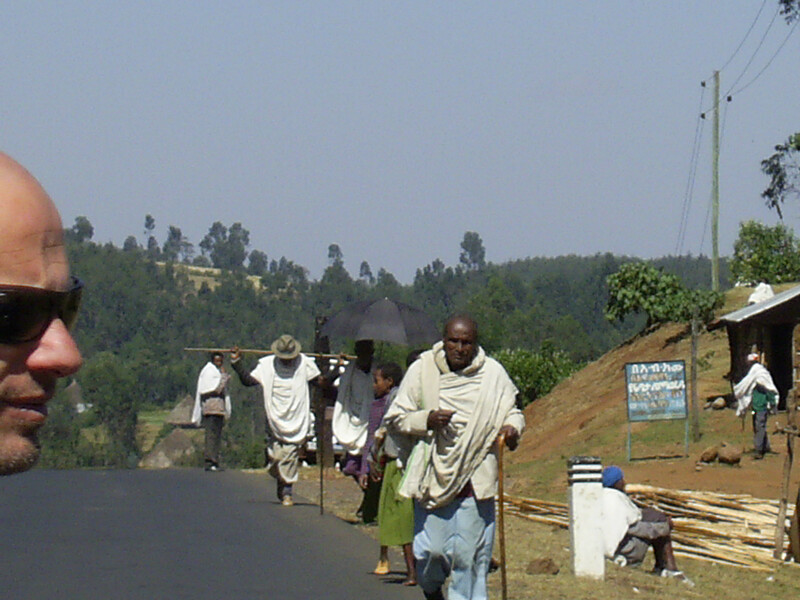 You don’t explore Ethiopia in a relaxing getaway trip; you venture here to be moved. And moved you will be. We took the bus to the border without knowing what to expect. The three of us, Nikos, Chris and I headed to Dire Dawa, the second biggest city. It was a memorable bus ride to the east part of the country through dust, mud and almost non existing roads. As foreigners we had the privilege of getting a seat on the bus, something that not all of the passengers had. Dire Dawa always gives strong reactions to the new coming travellers. Some talk about it with the best memories and some can’t wait to get out of it. We enjoyed our stay, although not for long, thanks to Mrs. Anna, an Ethiopian lady in charge of the Greek orthodox mission in the centre of the city. 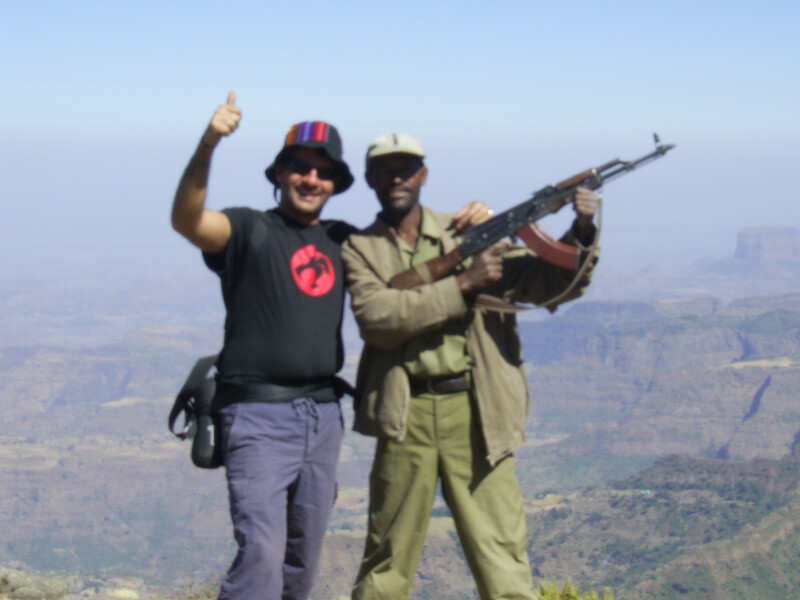 Our target was the city of Harar, located south of Dire Dawa. This sensational city can blast your senses. It’s an old walled city with 400 or more alleyways squeezed into a little more than 1 sq km. Its ambience makes you feel like you’re floating through another time and place. And if all that isn’t enough, the tradition of man feeding hyenas that roam outside the city walls completes the puzzle. Although we didn’t have the opportunity to experience that, Harar is still a place you shouldn’t miss. After that we headed to the capital Addis Ababa to organize our trip to the northern part of the country. It took us almost a week to appreciate the mega city of Addis Ababa and we had to try really hard to find a 4wd car and a driver to take us to the north. 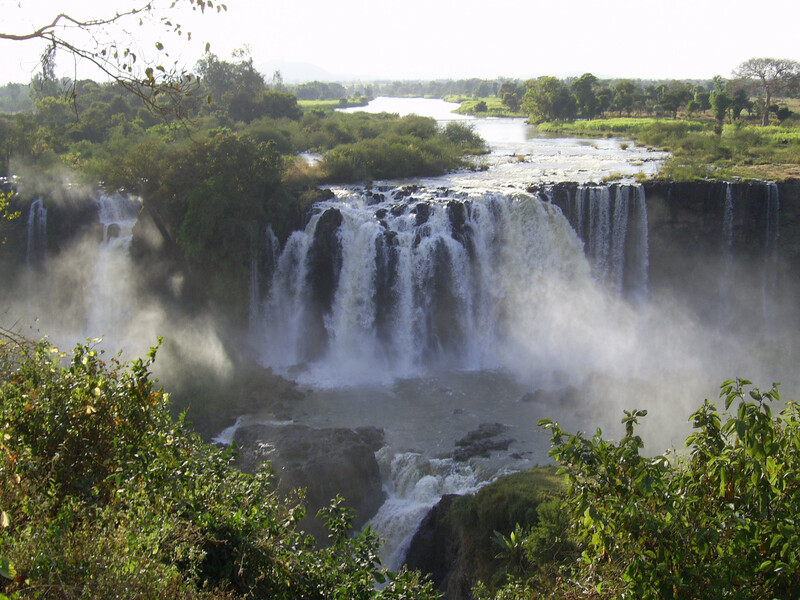 On the way to the north, we spent the night in Debre Marcos, a city in decline on the way to Bahir Dar, where you can visit the source of the mighty Nile. 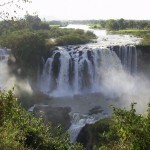 Bahir Dar is built on the shore of Lake Tana, where you can visit some of the oldest churches in the world hidden in the small islands of the lake. It’s a tourist trap in my opinion because they all ask for money. 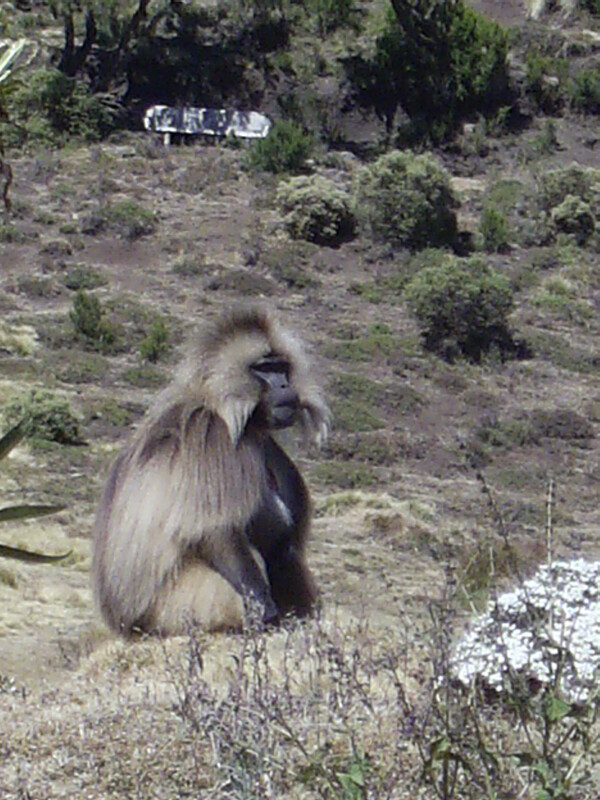 After that we went to Gonder, the city that most people use as a starting point to the Simien Mountains, the second highest mountain range and a national park. 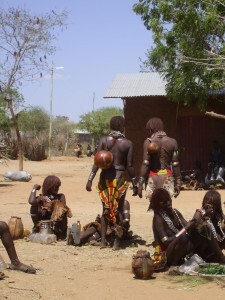 After gathering all the supplies we needed, we headed to Debark where we would leave the car and enter the national park. We were forced by the rangers to take a local guide Frio, a really friendly local that didn’t speak a word of English. In reality this was their way to give some extra money to the locals and to us a sense of security. We spent three nights there, with baboons and eagles to keep us company when we were trekking the mountains that rise up to 4553m high. Chris and I got sick with altitude sickness which made our passage even more difficult. Chris got it even worse than me and although we descended, her symptoms continued. Frio proved to be an excellent companion up in the mountains and although he was speaking his own language, we managed to communicate perfectly. He also took care of Chris like none of us could. After our return to Gonder, the small village appeared to me like a mega city with all the “luxuries” (food, running water and high temperatures) that we westerns lost up there in the primitive mountains. Chris recovered temporarily, something that made us feel better since there was nothing we could do to help her except for the few medicine supplies I had in my first aid kit. 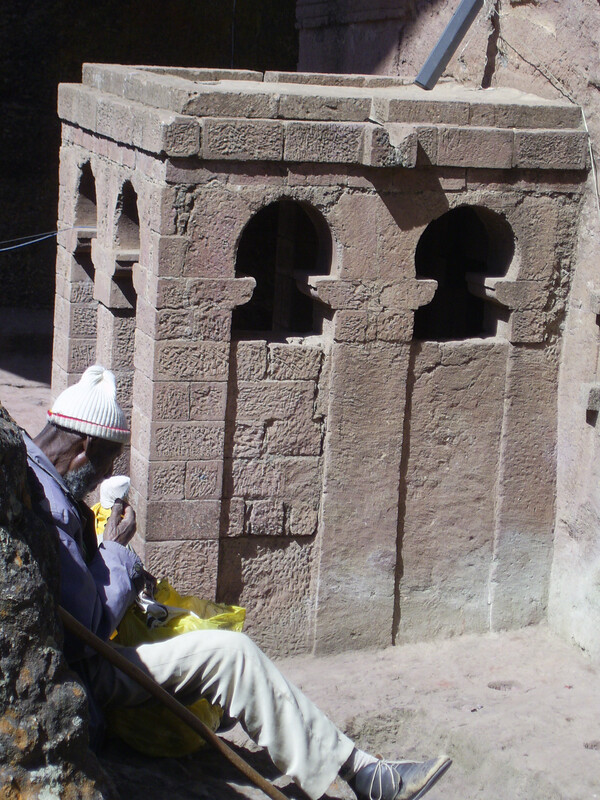 The following days we crossed the hostile area all the way to Lalibela, an ancient world including eleven magnificent rock curved churches, dimly lit passageways, hidden crypts and grottoes. Today that world still remains frozen in time. 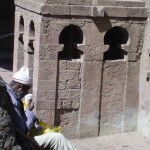 Lalibela is a world heritage site and undoubtedly the greatest religious historical site of the Christian world. Our trip to the north had come to an end. We were forced to stop in Woldia to visit a hospital since Chris got dehydrated. We forced our driver to reach Addis Ababa as soon as possible because she was in need of immediate medical care. As soon as we went to a nice hotel to recover, we had one of the nicest surprises of the trip. 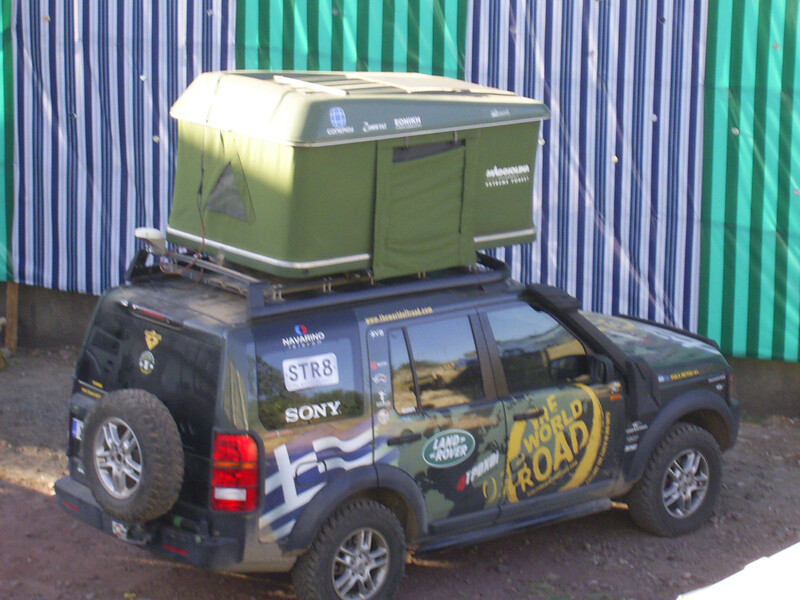 A Land Rover Discovery, with the Greek flag all over it, parked at the hotel’s parking lot. Akis Teberidis and Voula Netou, a couple of Greek journalists that had rounded Africa and were heading back to Europe, only to continue their trip around the world. 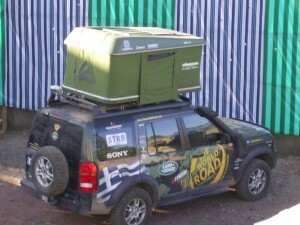 They were the people that inspired me to start travelling with Voukefalas, my own car. We spent two great days together. We owe them for taking Chris to the hospital. After exchanging information, since we were heading south and they were heading north, we said goodbye and promised each other that we would meet again somewhere else in the world. We took the road to Awasa, the biggest town in the north and the end of the asphalt road. We managed to arrange another 4wd trip to the tribes of the south. The last stop of the “civilization” was Jinka. 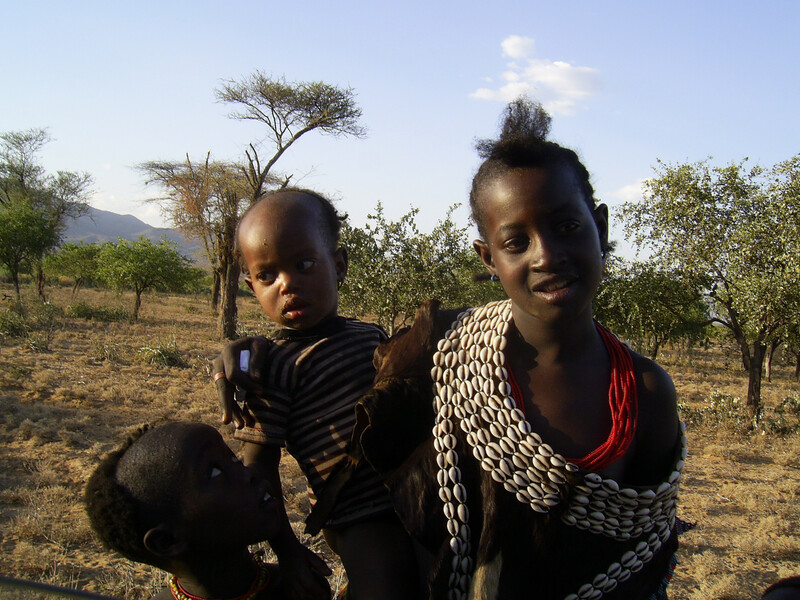 From there on, the area and the valleys ahead belong to tribes that have very little to do with the actual Ethiopia. The Omo Valley was a highlight of the trip. Here ancient customs and traditions have remained almost entirely intact. 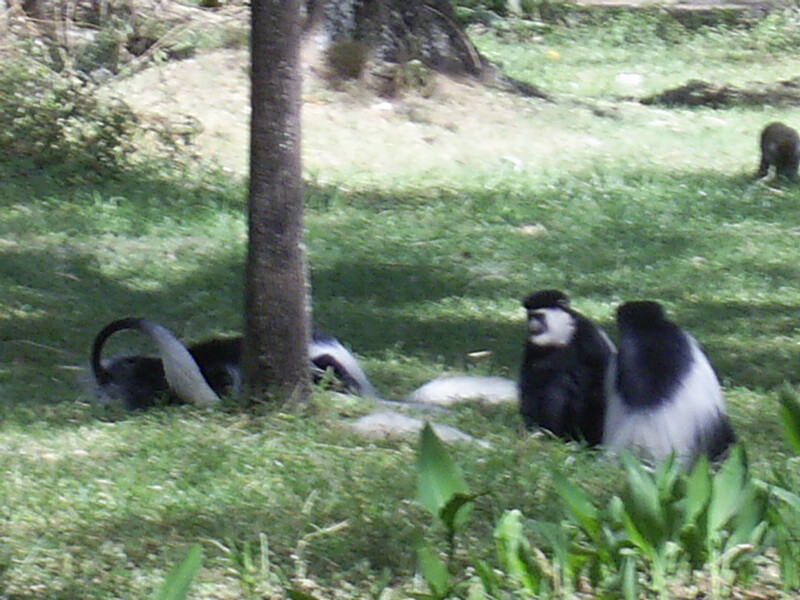 The religion is animism and some communities still practice the pastoral economy. The trip to that area, with some of Africa’s most fascinating and colourful ethnic groups, along with Ethiopia’s worst roads, was captivating as it was uncomfortable. Due to lack of time and money our trip to the south ended back in Awasa, leaving us the best memories from the trip to the tribe world. 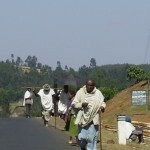 Ethiopia is poor and travelling there was tough, both physically and mentally. 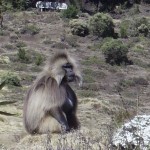 However we were definitely rewarded by Ethiopia’s hidden treasures. So don’t hesitate. It won’t be easy but it will surely be unforgettable.